Sing, dance and get creative with the LeapFrog LeapStart Trolls Solve It All with Poppy & Branch Book. Listen to music; solve problems by exploring the Trolls’ forest and more while playing 30 interactive activities. 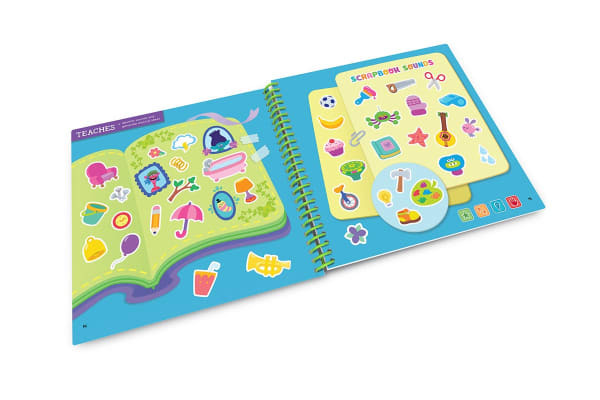 The LeapStart stylus reads invisible dots on every page triggering engaging audio that includes questions, challenges, songs, jokes and more to teach kids in new and exciting ways. Identify what type of emotion the melody inspires or determine if the tune is fast or slow, loud or soft. 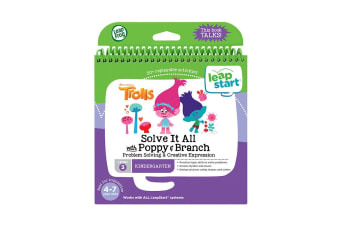 The LeapStart Trolls Solve It All with Poppy & Branch Book teaches problem-solving skills and creative expression by finding clues, answering questions, listening to music and creating beautiful outfits and art. It also includes more than 30 two level activities such as touch-and-talk games, problem-solving, art activities and more.